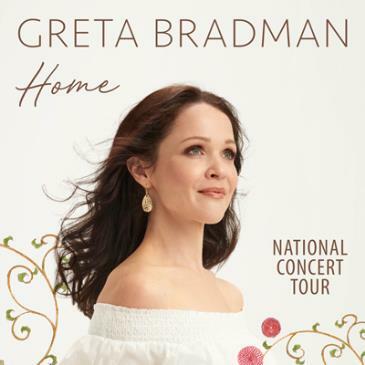 It is with much regret we inform you that Greta Bradman’s ‘Home’ concert performance scheduled for this evening, Thursday July 19th at Our Lady of Mt Carmel Church in Middle Park VIC, has been cancelled. Pianist Kate Johnson, a much loved member of the ‘Home’ tour family and such an integral part of these curated performances, has fallen seriously ill overnight and is unable to perform this evening. We are actively working to reschedule the 'Home’ Melbourne concert to another date. Please rest assured we will be in touch with you as first priority once this new date has been secured. In the meantime refunds for tonight’s performance will be available to ticket holders at the point of purchase - if you purchased online through Eventopia, refunds will be automatically processed back onto the card used to make the purchase - while tickets will be refunded automatically, please allow 5-7 business days for the refund to be processed in full. Thank you so much for your understanding. Greta sends her warmest wishes and her sincere apologies for the inconvenience. We look forward to warmly welcoming you to Greta Bradman’s next Melbourne concert in the near future. Please note, this is a General Admission concert. Seating is unallocated and available on a first come first served basis. “Home” is the title of Greta’s forthcoming national concert tour and new album (to be released 13th April 2018). A personal tribute to where the heart is, “Home” features songs and arias that for Greta encapsulate the essence of family, friends, and precious moments and memories of times and places, present and past. Many if not all of these songs have been repeatedly requested by Greta’s beloved audience members, in letters, cards, and countless post-concert conversations. She cannot wait to share this journey “home” with you.